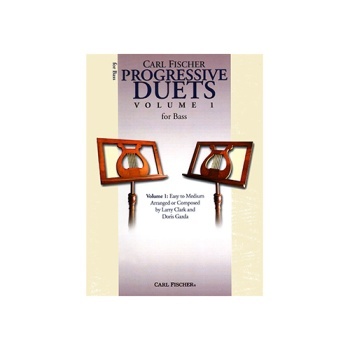 A comprehensive series of graded duets for a variety of performance situations, Progressive Duets provide an excellent way for the student to build ensemble skills with a colleague or teacher. Published for viola, violin, cello and bass, these pieces can be performed by any combination of these string instruments. Volume 1 - Bass. Arranged by Doris Gazda Larry Clark. Published by Carl Fischer. Composer: Larry Clark, et al. Artist: Larry Clark, et al. Arranger: Larry Clark, et al.